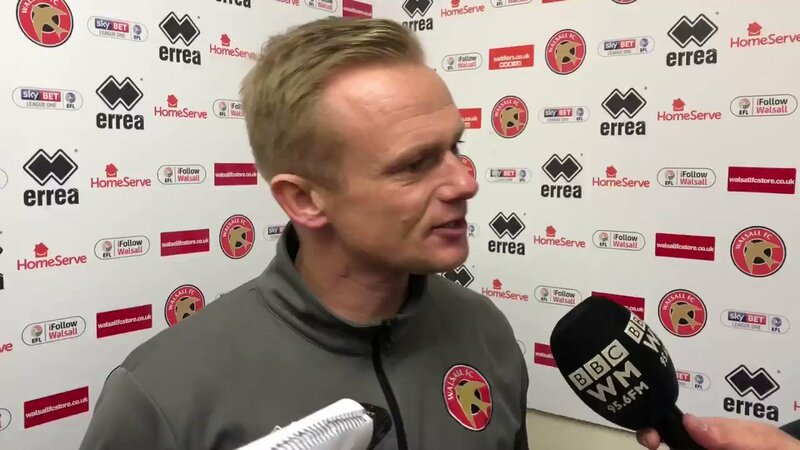 Walsall manager Dean Keates has met with members of the local press ahead of this weekend's televised League One clash with Barnsley, and spoken of his desire to put pressure on the other teams in the relegation dog-fight by picking up a positive result on Saturday afternoon. And despite their disappointing position in the league, the manager is determined to focus on the positives from the last few performances against title-chasing teams, insisting that the Saddlers can be proud of their overall performance, even if the result leaves much to be desired. Dean, who was speaking via the club's official website, said; "You’d like to ignore the table but you can’t. It’s the be all and end all come the end of the season so it isn’t being ignored. We are putting in OK performances but you want to be able to put points on the board. "We are disappointed that we have managed to go toe-to-toe with two of the top three but not pick up any points. We have more than matched them but there were a few mistakes on our side and they have cost us in the games. Performance-wise we have been doing well in the last few games. "We have got to be as positive as we can. When we looked back at the game against Sunderland at the weekend, for long periods of the game you wouldn’t have known that there were 34,000 of their fans there. "We kept them quiet and our game plan was working but we just need to eradicate one or two of those simple errors that we feel we can be in control and we can make better decisions. When we make those better decisions, we will get back to keeping clean sheets like we were a couple of weeks ago. "There is a now a table of the table because there are that many teams in the mix. The way we are looking at the game against Barnsley is that we have an opportunity to put pressure on the other teams. By the time we finish our game on Saturday, we could be 13th in the table."